I was, indeed, a very lucky lady this year and pretty much cleaned up in the birthday gifts department. Here are 10 lovely things I got from my family and friends. 1. 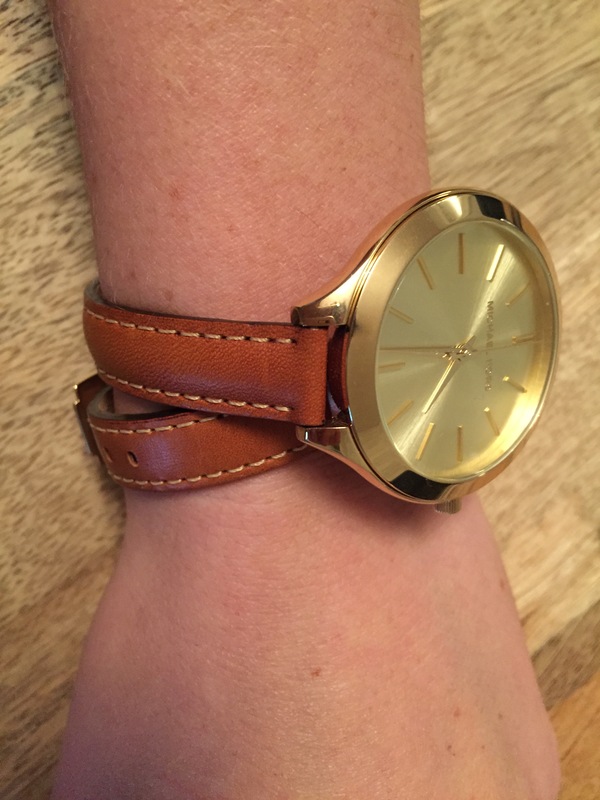 Michael Kors double wrap leather watch. This fab gift from my sister goes with everything and looks sophisticated and chic. 2. 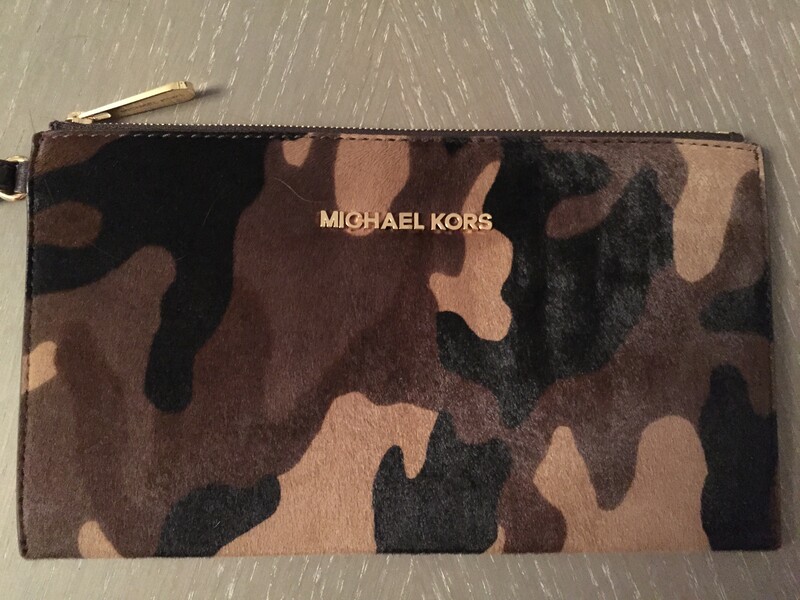 Michael Kors camouflage calf hair clutch. I got this beauty from my parents – who clearly shopped with my sis. Camo was a huge trend last autumn, but I’m more than happy to keep it going this season. 3. W.I.P. 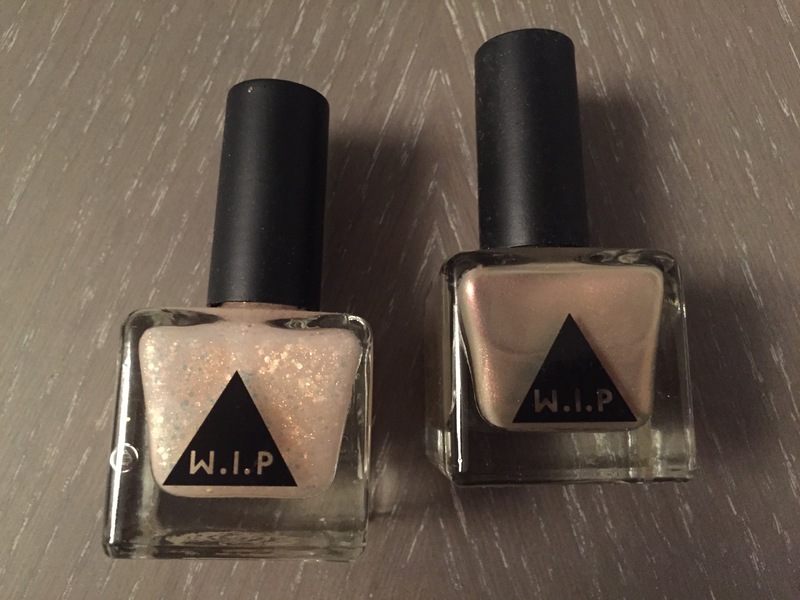 nail polish in Gilded and Wings. Sparkly, shiny and perfect for autumn. 4. 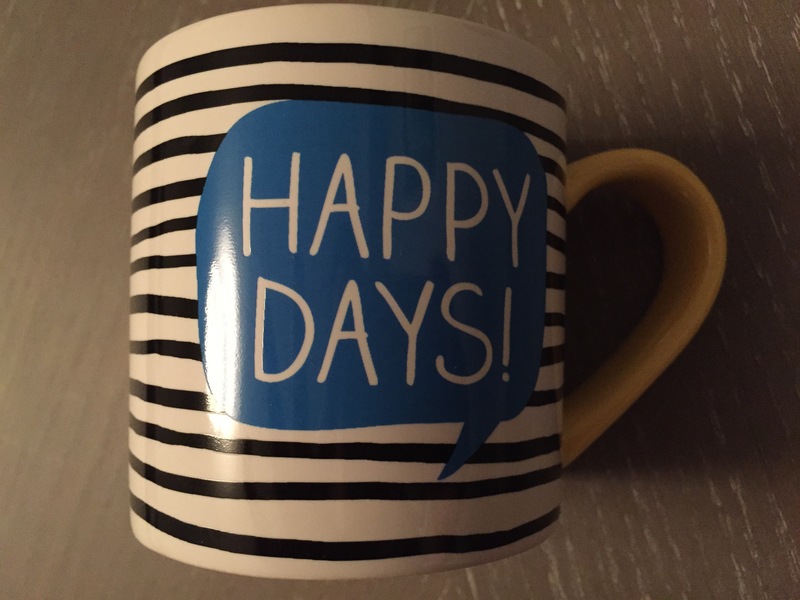 Happy Days striped mug. The ideal mug for sipping coffee in bed on the happiest of all days: Saturday! 5. 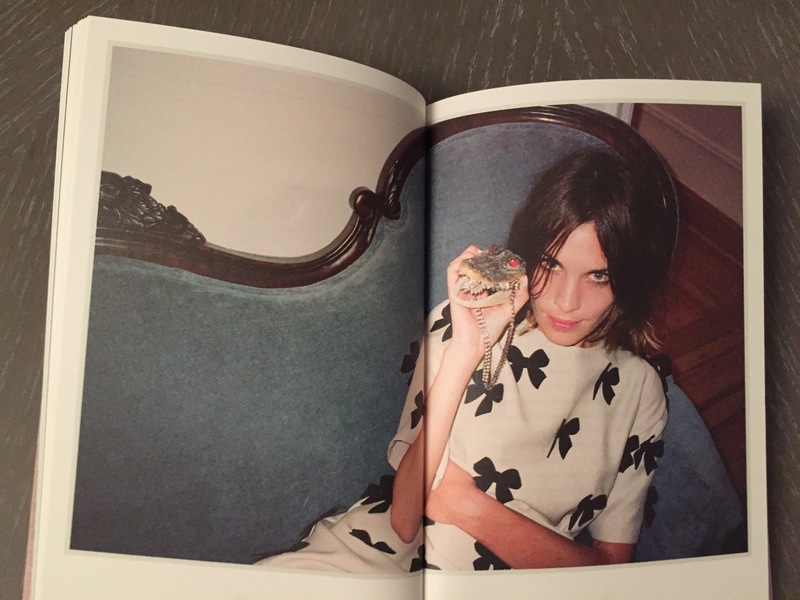 Alexa Chung’s new book, It. When I’m done reading this style bible, it will take a prominent spot in my display case. 6. 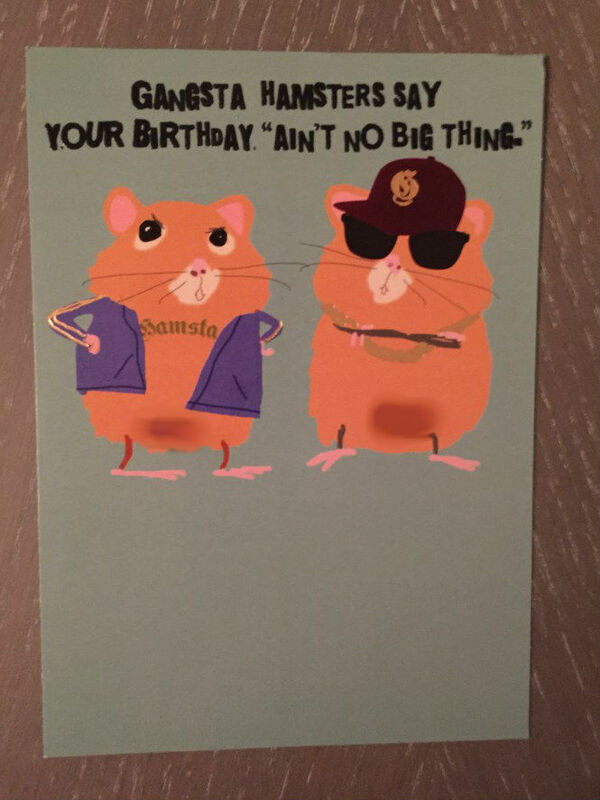 Gangsta Hamsters birthday card. Because sometimes handwritten cards are just as lovely as presents. 7. 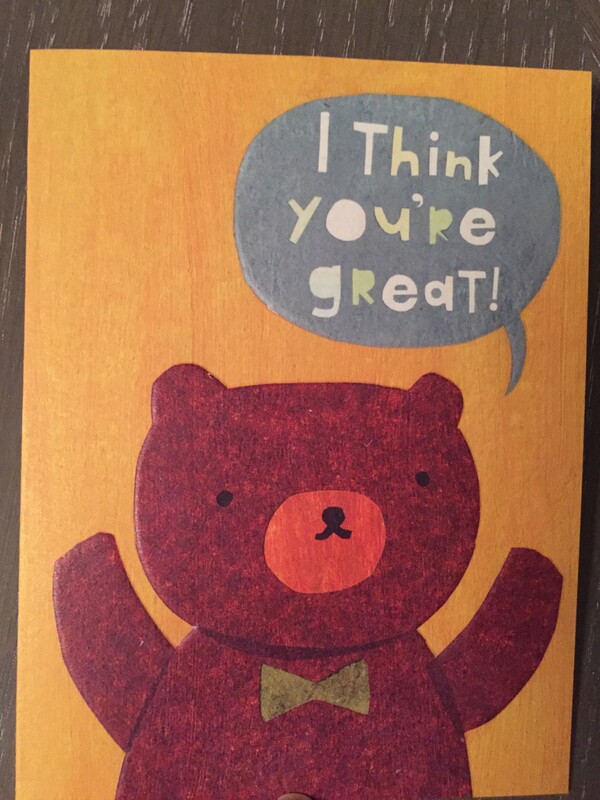 Complimentary bear card. Because ditto above. 8. 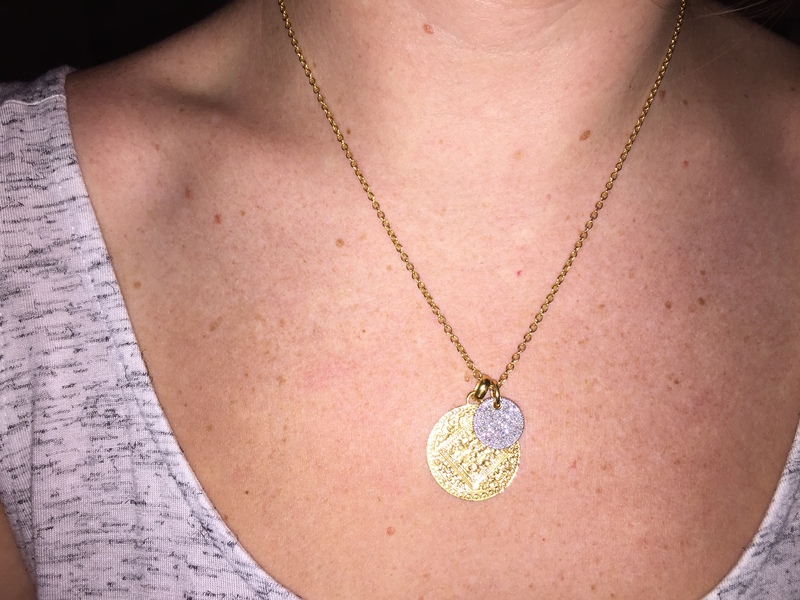 Monica Vinader gold and diamond necklace. A lovely piece of jewellery from my extremely thoughtful husband. 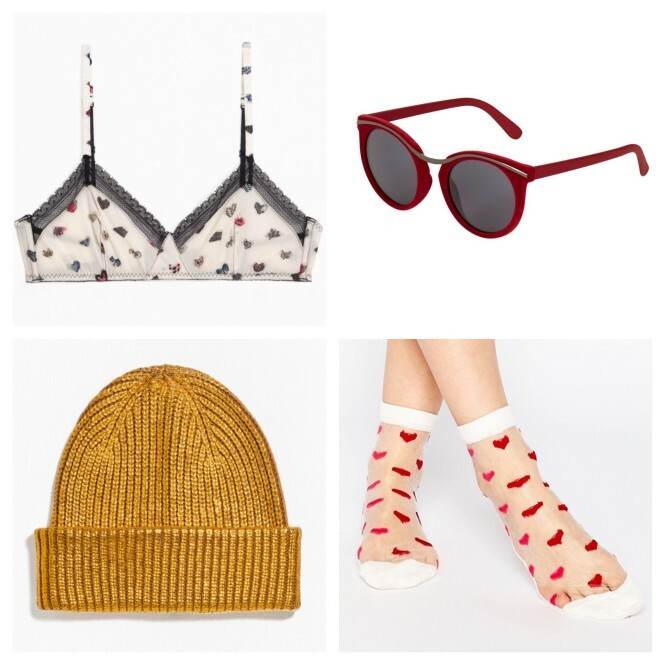 It’s stylish enough to be fun but classic enough to wear every day. 9. 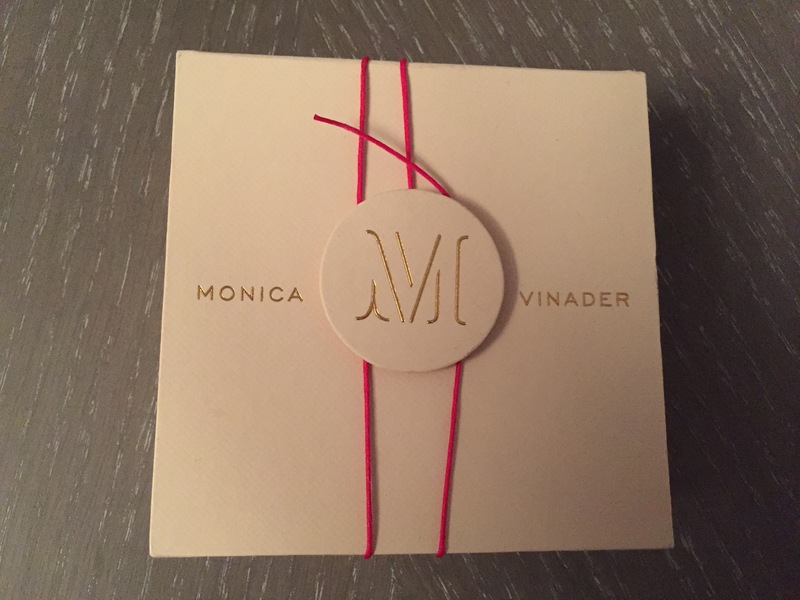 Monica Vinader box. Okay, this one is a bit of a stretch, but I was struggling to make it to 10 and this suede-lined box is just so pretty. 10. 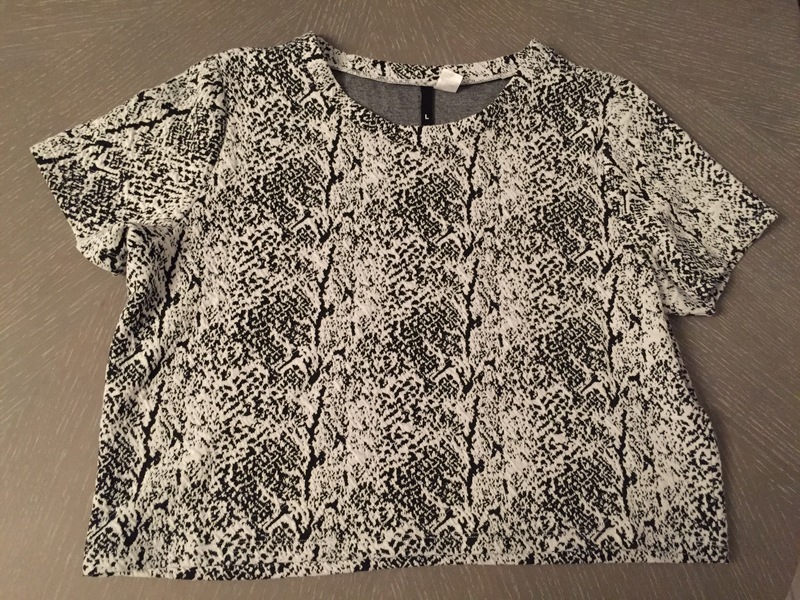 And finally… this black-and-white crop top from H&M. It’s always nice to buy yourself a birthday gift – and since this is a special birthday, I figured I could buy a few. 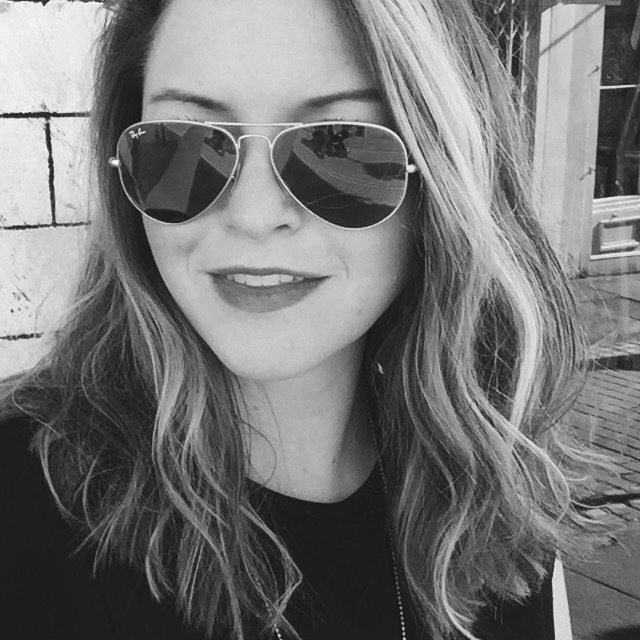 I bought two new pairs of shoes from Nordstrom that a friend is smuggling over for me from the US in a couple weeks – and then I bought this cute, super-cheap top to tide me over. When I put it on my husband asked me if I bought it at Whistles, which obviously made my day. 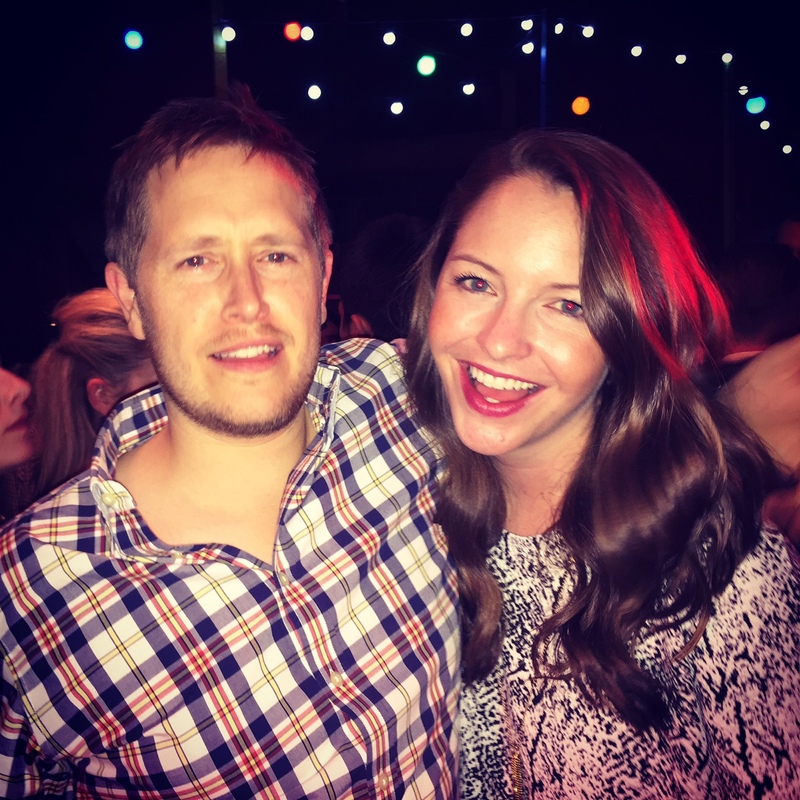 In fact, I liked it so much that I wore it with a leather miniskirt, black ankle boots and my pale-blue coat for my birthday night out.